TEXAS HOUSE GETTING READY TO RUMBLE -TIME TO BRING THE TEA PARTY HOME TO THE TEXAS LEGISLATURE - ACTION REQUIRED! There should not be any doubt that TEXAS is RED after November 2nd! Not since after the Civil War have we had so many Republicans in the Texas House. Texans came out and sent a clear and loud message not only to the Obama Administration but to all Americans that we know how to stand up for what we believe in. Texas elected 22 more Texas House Republicans for a total of 99 representatives leaving only 51 Democrat Representatives for the upcoming Texas Legislative session starting in January 2011. Grassroots activists worked hard to make sure we elected conservative representatives and we succeeded. Shouldn’t our Speaker of the House be a conservative? It is time that the Texas Legislature gets serious about its commitment to the people. With all the attention directed to the way the Socialists/Democrats rammed their agenda, you would think that before representatives committed to pledge their vote to Strauss, they would have given it some thought. It’s time we elect a conservative Speaker of the House. Joe Strauss from San Antonio walked the fence last session leaving a distinct sense that he may not be able to adhere to the conservative ideals we all value. It is up to each one of you to decide whether Strauss is capable of handling the next session in a more affirmative manner. The fact that Republicans hold a majority should immediately tell him that the Republicans in the Texas House should take the lead. Republicans should be Committee Chairmen, after all they outnumber the Democrats 2 to 1. If not NOW then WHEN? Redistricting is a key issue this time and we don’t want to take a back seat to the Democrats in the Texas House. Remember how I was mocked at the San Antonio Redistricting meeting in June by David Leibowitz who by the way just lost his seat to a Republican. And remember Delwin Jones who cut me short and was rude, well he also lost and won’t be back. Delwin Jones was appointed to Chair Redistricting by Strauss in 2009. "Delwin is a good fit for Redistricting”. “He was once a Democrat and is now a Republican, so he understands both sides," Rep Joaquin Castro said of Jones. "The speaker picked the right horse for Redistricting," commented Rep Roberto Alonzo. I say it’s hard to think conservative when you are a Democrat trying to be Republican. Remember Joaquin Castro? He was one of the Democrats that fled to New Mexico to avoid a quorum in the 2003 redistricting. Alonzo was also among the 50 who fled. Take a look as to who pledged to stand with Strauss none other than Joaquin and Alonzo. In 2009 Strauss was called a “New Republican” and what I believe Texans are looking for is a good solid conservative Republican! And no more back room deals! We can not stop now….We must continue to fight for our conservatives values! In March of 2009, I sat all day at the meeting on the Texas Stimulus Fund committee meeting in San Antonio, which was billed as "Public Testimony" on the American Recovery and Reinvestment Act. Unfortunately, the Chairman, Representative Jim Dunnam, a Democrat, called city, county and public institution employees to the mike until 4 PM, all before hearing a single private citizen. Not one of our local Republican Senators or Republicans attended the meeting and Representative Dunnam left the Committee under the control of his Vice-Chair in order to make it home in time for his daughter's Debutante party. In 2003, first the House Democrats ran away to Oklahoma and then the Senate Democrats were spirited away to Albuquerque, New Mexico in order to deprive the Republicans a quorum capable to deliberate Redistricting. It appears from rumors about the speaker's race, that there are political games going on that I don't understand. With 98 to 100 Republican seats expected, why is there a "Stop Straus" Facebook page and comments on the Quorum report suggesting that Republicans are beginning to cannibalize our own members? Come on, guys! Don't make us ashamed of you - do what we put you there for! Elect a conservative, Republican Speaker and make sure he or she leads. And don't give the Democrats a chance to insult conservatives as they have in the past. Our Texas Republicans will have a clear majority in the 82nd Legislature. There's even a chance of a two thirds majority in the State House this year - one that is safe from quorum-busting antics by the Democrats. We elected so many Republicans to ensure a clear conservative agenda, Republican Chairs for every Committee and a Republican-drawn redistricting map. The issue is not who holds the gavel but who will appoint the Chairmen of key Committees. The picture on the left shows Texas House 2009, the picture on the right shows Texas House 2011. Tuesday night’s resounding victory by conservatives in Texas and around the nation was not the result of any particular politician or group. It was the result of citizens rising up and making their voices clearly heard and it should be taken for precisely what it is: a mandate for conservative policy leadership. The victory of nearly two dozen new conservative Republican legislators reflects the mood of Texas voters on the state’s critical issues. It was a clarion call for conservative leadership in the Texas House – leadership that has been absent the past two years. This desire for conservative leadership must be reflected from the Office of the Speaker to every committee chairmanship. A change to a more conservative Speaker is in order. The voters who labored hard for this conservative majority expect it to diligently represent their conservative values. Texans voted with the expectation they would see meaningful change for their businesses and families. The same conservative voters who made this near-supermajority possible will be just as engaged in the months ahead, as they have been leading up to Victory Night. These voters will be watching and actively participating. We urge you take time to ask your constituents – the people who walked your precincts and made calls to their neighbors; the people who voted for you – what kind of person they want serving as the state’s third ranking constitutional officer, and what kind of committee chairs they expect. It is their right to be involved and engaged in this important decision. We look forward to working with this reinvigorated conservative majority throughout the coming legislative session! Some 46 conservative activists and tea party leaders from around the state sent current and incoming members of the Texas House a letter today urging them to replace Republican Speaker Joe Straus. Signers include Michael Quinn Sullivan of Empower Texans, Peggy Venable of Americans for Prosperity of Texas, Dave Welch of the Texas Pastor Council and the presidents of nine tea party groups from around Texas. UPDATED: Partial listing as of November 3, 2010 1:25 a.m. I am honored to have the support of 128 of my colleagues for Speaker, including 79 Republicans and 49 Democrats. I congratulate every House candidate elected, and I look forward to working with each member for the good of our state. Click here to see the list of pledges. Contact your Texas Representative NOW BEFORE THE SESSION STARTS! This article was written by Sonja Harris and Beverly Nuckols. I'm done with bedroom conservatives more concerned with homos than taxes. Straus, just so you know, was campaigning for Ronald Reagan when Chisum was still a democrat. 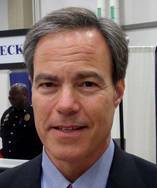 Joe Straus is a fiscal conservative through and through who actually cut spending during the 2009 session. Chisum's experience is spending. BILLIONS. At least Chisum is true to his democrat roots. We focused on this social garbage and lost seats for three elections. This year, we rolled all that back and gained thanks to Joe Straus and his leadership. Now, he doesn't have to cooperate with the democrats and 2011 will be a far different session. This is the last gasp of mommie state so-called Republicans who can't stop telling people how to live. IT'S THE ECONOMY, DEBT, SPENDING AND TAXES we sent these folks to Austin to fix. The socially conservative may take some waking up, but I am certain that we ARE awake and we are the TEA Party. The vote on the Defense of Marriage Amendment in Texas was over two-thirds of the vote in 2005, similar to the Conservative vote last week. Conservatives are made up of social and fiscal conservatives. That vote on DOMA leads me to believe that we are a force to be reconned with, in spite of yor doubts, Mr. Brady.